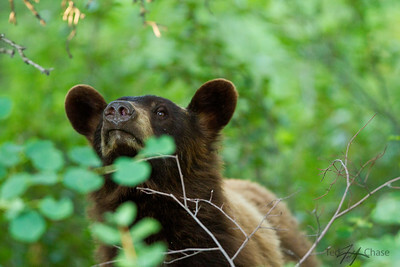 Bear photography by Ted Chase. 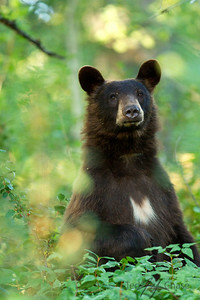 A beautiful Black Bear intent on watching a robin next to him in the tree. 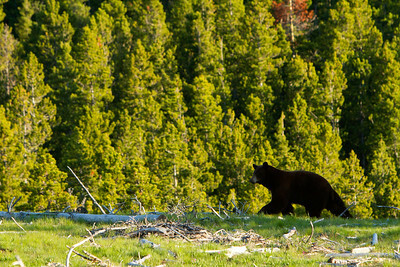 This very large Black Bear just tried to romance a Cinnamon Black Bear, no luck as he watched his girlfriend walk off into the distance. 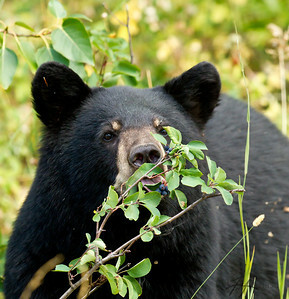 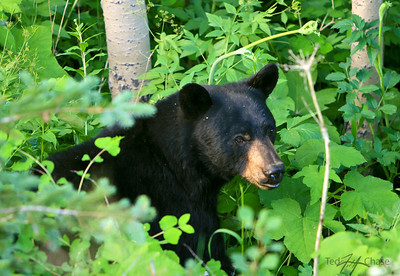 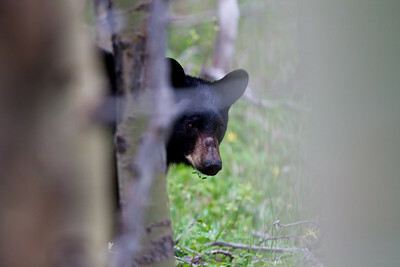 A yearling Black Bear peeks around a tree while feeding. 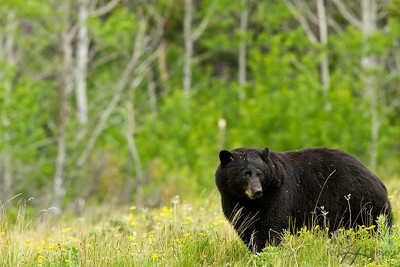 A small cinnamon Black bear forages after fighting with another male. 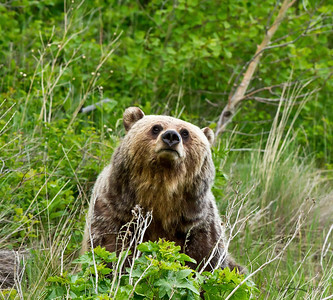 A very nervous moment as I watched 2 cubs playing in a tree not knowing where there mother was, thankfully she appeared unthreatened. 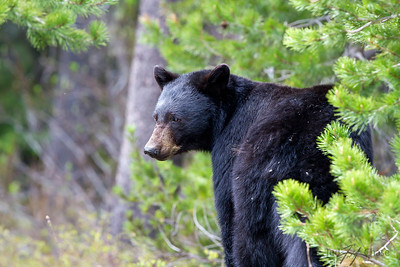 A Black Bear searching for his favorite food in Glacier National Park. 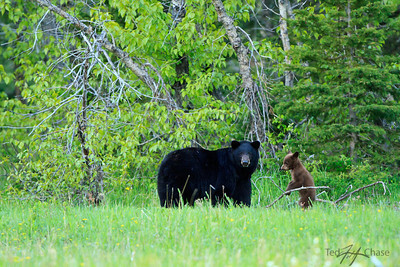 This Cinnamon Black Bear was feeding on service berries while its 2 cubs were playing in the distance. 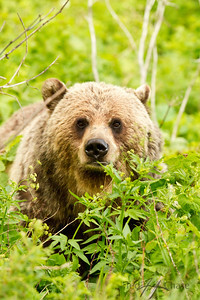 This Grizzly Bears eyes told me as much as I needed to know, while in the back country theres always a chance of surprising large predators. 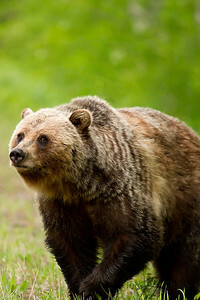 The experts say never to look at a Grizzly Bear in the eyes, if you ever get a chance like this, it will change your life. 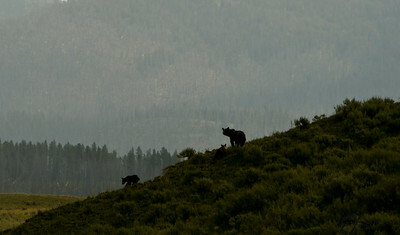 This female Grizzly Bear has her work cut out for her as she raises her 2 cubs while seemingly starving in Yellowstone National Park . 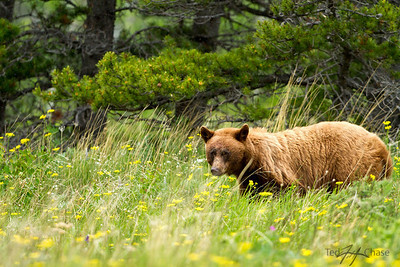 After being charged by this sow she quickly retreated away from danger, thank god! 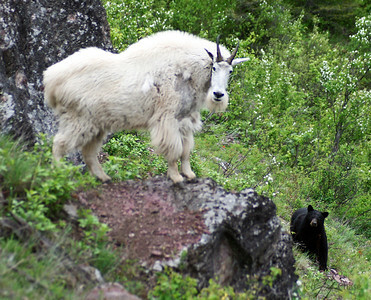 Climbing along the Bob Marshall Wilderness I was caught off guard while watching this mountain goat. 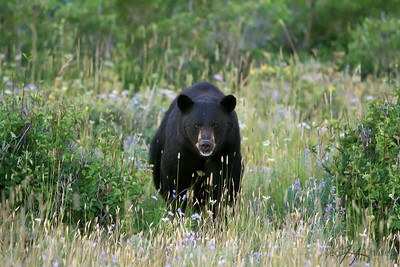 Theres no words that can describe this moment except for terrified while walking offtrail in Glacier National Park. 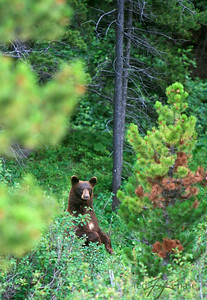 A young Cinnamon Black Bear searches for berries but very intent on watching me. 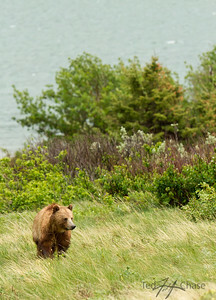 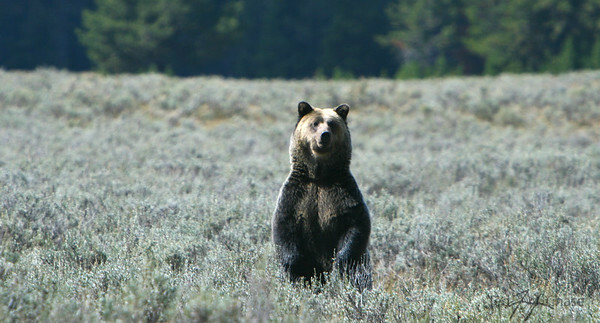 A large Grizzly Bear came to attention after catching wind of my scent, I froze and he wandered off. 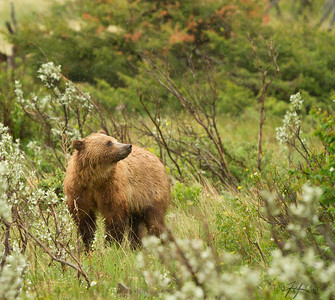 A Grizzly Bear searches in the tall grass. 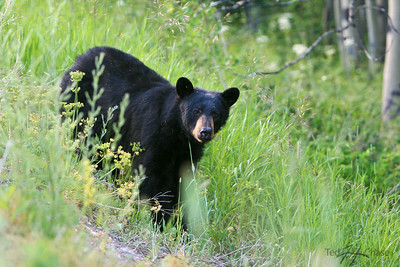 A Cinnamon Black Bear lets me know im not alone in the forest.